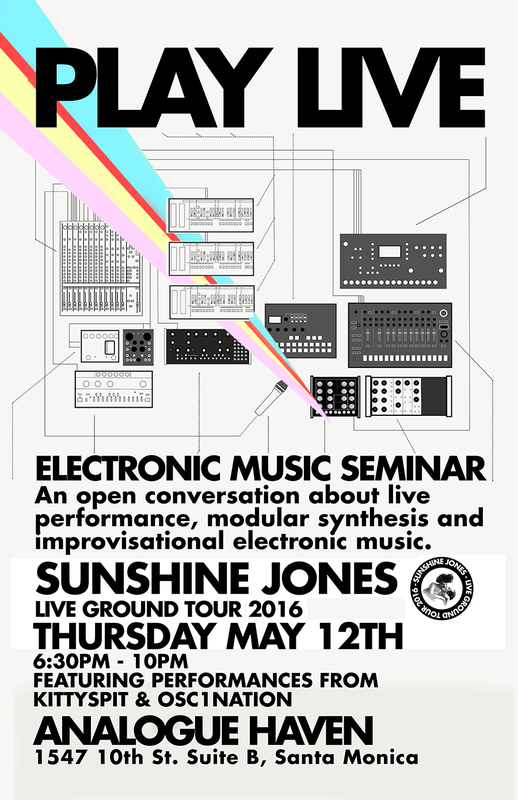 Thursday the 12th of May I’ll be hosting an open conversation with you about live improvisational electronic music, modular and modern synthesizers, plus opening live electronic performances, and a connection with you. Analogue Haven in Santa Monica. Space is limited, and the first to arrive will be those accommodated. Please arrive early in order to ensure you are able to attend. 6:30 – 10pm – Seminar starts at 7:30 – See you there!